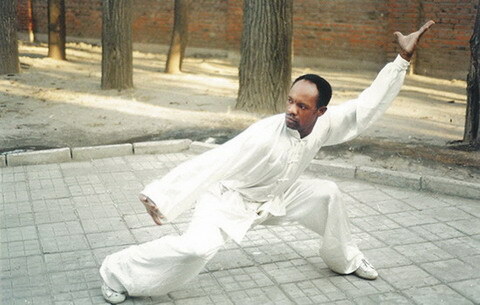 A young African boy came to China to look for the flying heroes he had seen in kung fu movies. He did not learn to fly, but other lessons had made him a hero in his own homeland, and an ambassador in China, where he has stayed for the last 30 years. He Na finds out the details. It was a special kind of flight he dreamt about - to be able to float through the air like all those heroes he saw in Chinese kung fu movies. Going to another country for the first time, whether for business or pleasure, can be a daunting experience – especially if you are going on a long-term basis, and have to relocate with your family in order to make that new country your second home. For most foreign people, China is probably not an easy place to adapt to because of cultural differences, language barriers and just the fact that it’s so far away from Europe and the Americas that people automatically fear the remoteness and isolation. For one British expatriate, the China experience has been nothing short of an adventurous journey. 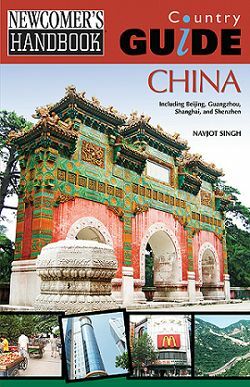 Navjot Singh, a Briton from London, initially went to China in 2002 for a short one-week holiday. Here he describes his experience from then onwards. “She said that I spoke Chinese better than some Chinese people.” Rui Jiang Ming told me proudly. This compliment came from one of his Chinese friends while they were having lunch together. He said “I don’t know.” in Chinese which surprised his friends because his accent was nearly the same to those authentic Beijingers. When one of the Chinese girl were asked to pronounce the same sentence, he found that she cannot do the accent as he did, then he found out that some Chinese people from out of Beijing cannot do the Beijing accent as good as he did. When I first met him, I translated one of the words in his name “ming” into tomorrow, but he insisted that it should be translated into brilliant even when I told him that they were the same word. But after I listened to his experience, I started to believe that brilliant is a perfect word to describe him. Rui Jiang Ming came from the capital city of People's Republic of Bangladesh Dhaka which is politic, economy and culture center of the nation. 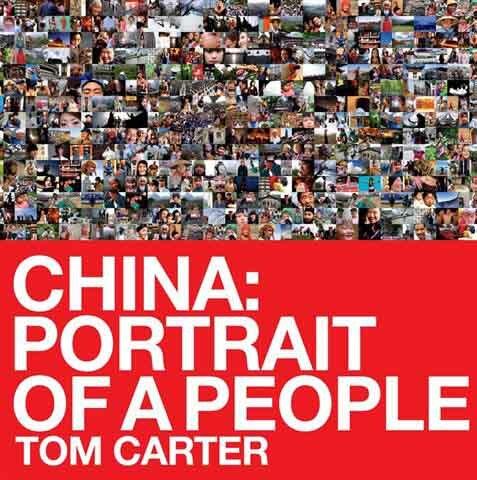 His first impression about a country named China came from a book. After reading it, he became curious about China. When he was in High School, his cousin came to Chinese to study Chinese. From the conversation with his cousin, he got the information that China is developing very quickly these years and there were many foreign student study Chinese in many big cities in China. Ever since then, the urge to go to Chinese has become more and more strong. Later, when he knew that the University of Dhaka which is the best university throughout Bangladesh offered Chinese class and there was a chance that you can go to China as an exchange student, he signed up for the program without any hesitated. Florida native Diane Mooney has devised what is believed to be China's first tertiary-level food writing class, at Shantou University's Cheung Kong School of Journalism and Communication, in Guangdong province. The role sees the American parlay her experience in journalism while indulging her long-standing passion for all things culinary, along the way honing the English writing skills of fledgling foodies living in a part of China famed for its residents' exuberance for eating. 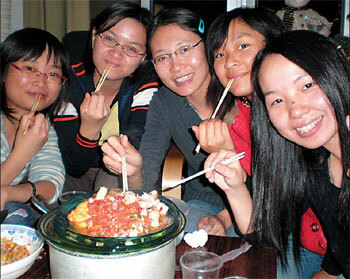 Mooney came to China in 2006 with her partner, also a journalist teaching at Shantou University. Previously, she was assistant editor for the South Florida edition of Zagat Guide, the popular annual restaurant bible assembled from surveys completed by the dining public. 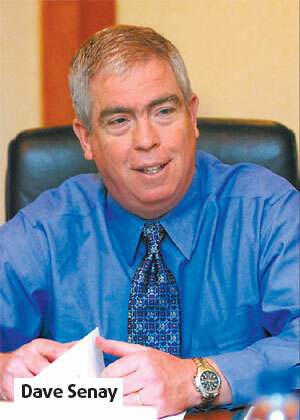 Mooney also wrote a food column for the South Florida Sun-Sentinel. Titled, The Kitchen Next Door, the column chronicled the culinary persuasions of people who had moved to Florida from various foreign countries. Dave Senay, president and CEO of public relations firm Fleishman-Hillard Inc is working a 21st century form of alchemy - not turning base metals into gold, but rebranding foreign products as local. His transformation wizardry employs a technique he calls PR2.0 - a combination of traditional PR with digital connectivity, interactive marketing, and advertising - all "within a unified strategic framework", he says. Senay has 23 years of experience with Fleishman-Hillard and formerly served as the firm's regional president for Canada, Europe, and the Middle East, and Africa. US-based Fleishman-Hillard Inc is also running a worldwide PR network to assist global companies entering the China market and to help Chinese companies to extend their global reach. Senay was in Beijing to share his idea and success stories of PR2.0 with China Business Weekly .